The entire 140-year oeuvre of Popular Science magazine has been archived for free browsing, thanks to a partnership with Google. 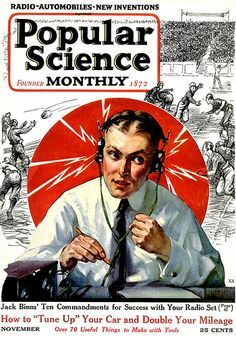 Popular Science includes some Amateur Radio-related articles, such as “You Can Talk Around the World” in the January 1932 edition, “Thousands of Radio Amateurs Find it Easy to Learn Morse Code” from the March 1932 edition, and “The Hams Join Up” from the November 1941 edition. Many other articles deal with radio and radio repair as well as do-it-yourself electronics projects.